CraftingNote shows you a note of items you have to build for your daily quest when you are using a crafting station. You can move the note to your preferred location. Default position of the note is top right. It is very similair to "Khrill Crafting Post-It". Right now it only works with german quest names. Patch will be coming soon that english players can use it too. 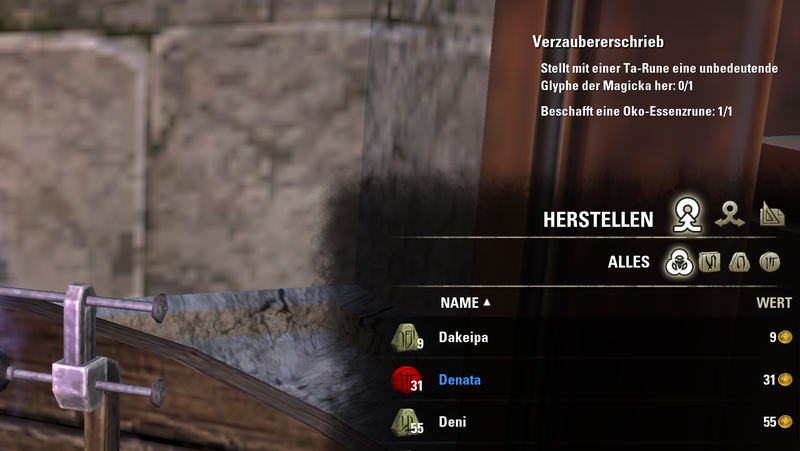 If you want to use this addon and you are not using german or english you can write a comment with the names of daily quests in your language. I will try to patch it as fast as possible. 0.0.2: fixed bug/error was shown at first login.